The Department of History invites students to explore their passion for history while developing practical skills like critical thinking, research methodologies, and analytical writing. Studying the past not only reveals a diverse variety of human experience, but also helps provide context for the challenges and dilemmas of today’s world. The department prides itself on its commitment to transatlantic and global history, gender and labor studies, and public and American history. 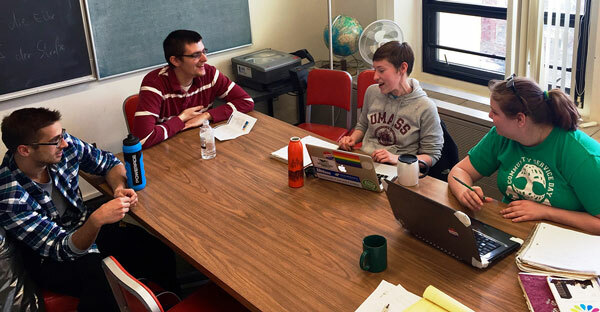 The history department shows its commitment to community outreach through public events, engaged scholarship, and local community-based history projects. The nationally-recognized Public History Program prepares graduate students for a wide range of careers nationally and internationally, including at places like the National Archives and the National Parks Service.